As Gary Lineker might once have said: football is a game where 30 people chase a ball around for 70 minutes, and in the end the Dubs win. This match gives them the chance for a tenth Leinster championship in 11 years. Elo reckons there’s a 97.8% chance of it happening. Westmeath’s win over Meath was stunning – and injected life into the provincial championships again – but a win over Dublin would be quite another level. The ghosts of the defeat to Sligo are still on the horizon, but John Evans’ overall impact on Roscommon has been to insert a feelgood factor into their football which has dragged them all the way to Division 1. A win here would confirm it – no matter what comes next, he would have taken Roscommon to the last 12 of the Football Championship (just as he would if Sligo had been beaten). The away draw to Brewster Park was not the kindest on offer but even still, the Rossies are 60% favourites to get over the line. Longford might well have hoped they could put this one in Pearse Park, but renovation work means they have to retire to the neutral ground of Mullingar for their game against Kildare – which, if anything, almost seems like it’s closer to Kildare’s native turf. Having both been demolished by Dublin, both seem to have found some joy in the backdoor – albeit in Kildare’s case, only with a meek victory against the same Offaly side that Longford defeated in the Division 4 final. That would suggest the sides are closer than Elo believes, but on neutral turf Kildare get the nod by a healthy 82.6%. This is not the draw Meath were looking for – but, in an optimist’s eyes, perhaps the one they needed. 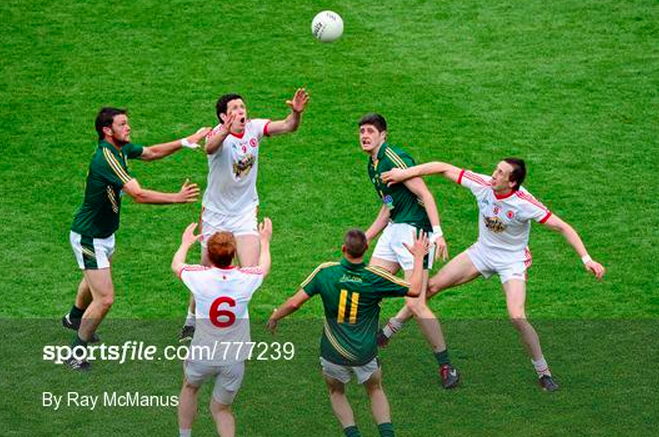 Tyrone are evidently not the power they used to be – they were a score or two away from relegation from Division 1, just as Meath were a score or two away from promotion to the same ranks. But Tyrone have been around the block a couple of times, and have engineered the beating of this same Meath side in the past. With home turf and a Saturday throw-in it would be a shock for Meath to emerge alive. Tyrone, by 78.5%. The curtain-raiser to a hurling double-header might mean this match gets overlooked – but it’ll be a good summer for either of these sides to make it as far as Round 3 and football on the last weekend of July. Neither side caught fire in the provincial championship but home venue for Tipp cushions their chances and gives them an Elo prediction of 79.3%. Wexford hadn’t much of a start in the Leinster championship with a heavy defeat in Mullingar, but still managed to overcome Down at home in Round 1. A match against Derry therefore shouldn’t fill them with an awful lot of dread. That said, Derry – despite relegation from Division 1 – are in good shape, and gave Donegal a mighty game in the Ulster semi-final. They’re 91.3% likely to win at home in Owenbeg. The tie of the round, between Galway – who were within shouting distance of Mayo by the time of their loss – and Armagh, who are still picking up the pieces after their Ulster demolition by Donegal. On neutral ground this would look a toss-up but getting the Athletic Grounds means it’s Armagh by 65.1%.